Looking for a fun way to encourage your kids to spend more time outdoors? Send them on a nature scavenger hunt! My kids happily head outside to hunt for treasure on a scavenger hunt and usually become so interested and engaged in what they are doing and what they’ve found or collected, that they will then stay outside for ages! 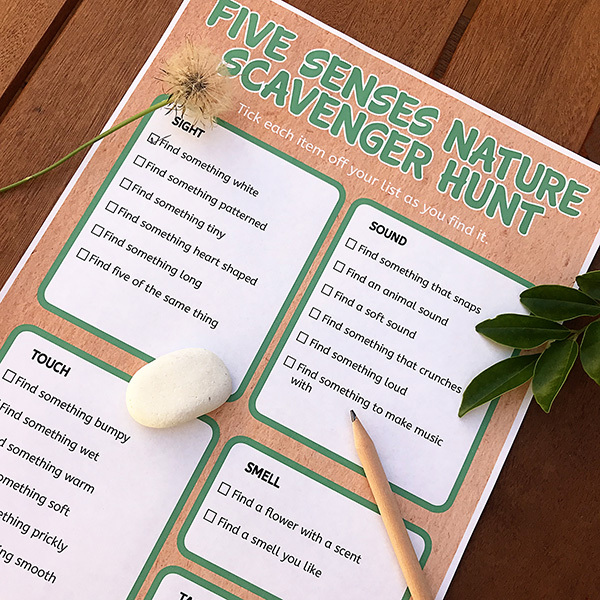 The nature scavenger hunt I am sharing today has a fun twist too – it encourages children to use each of their five senses to find the treasures on their hunt. There are so many things to see, smell, hear, touch and even taste outdoors (obviously, speak to your children about not actually tasting anything from the garden without checking with you). 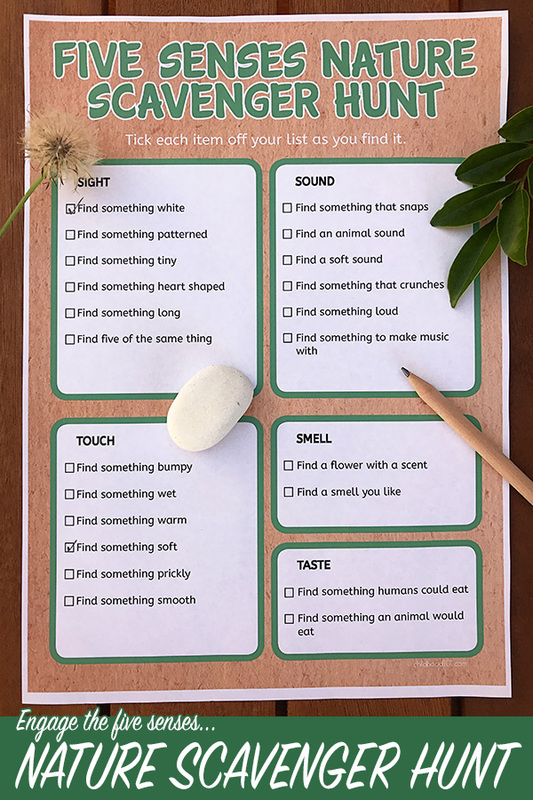 For teachers and homeschoolers, this makes the scavenger hunt a great addition to your learning about the five senses activities program. So print a copy, grab a clipboard and a pencil and head outdoors for some treasure hunting fun! Take a basket if you wish to keep your treasures. You can even bring them back indoors for use to in a nature collage or try making leaf faces. 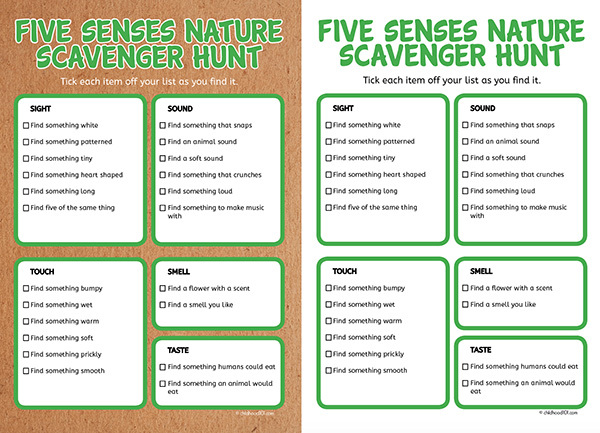 Click here to download: Nature Scavenger Hunt. Save the PDF to your computer. Open the PDF and print the page you require. When printing, select “Fit to printable area” (or similar) to ensure the page fits with your printer type and local paper size (these have been created at A4 size). Be sure to also check out our great list of inspiring Nature Science Biographies for Kids. Next post: 12 Awesome Party Games for Kids: Kid Approved Classics!